When it comes to talking about the giants of Greek sport, we inevitably look first at the worlds of basketball and football. Once upon a time, it would have been possible to say athletics and weightlifting as well but the recent pandemic of doping cases has rather obliterated that idea, at least for the moment. Cricket, though, is never mentioned in these debates which is a shame because Greece has produced two Test cricketers – Xenophon Balaskas and John Traicos – and another, Nic Pothas, who has played one-day internationals at the highest level. All of them played for South Africa. 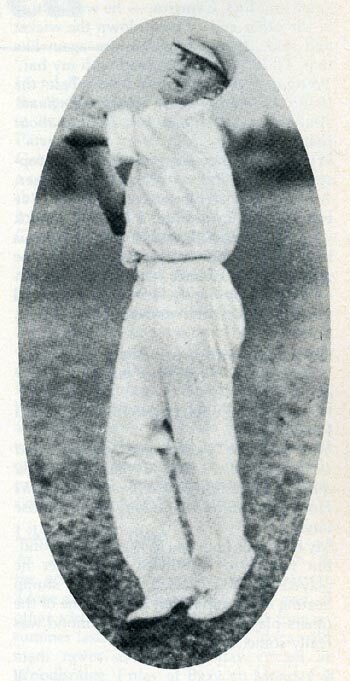 Balaskas played nine Tests in the 1930s, taking nine wickets at Lord’s in 1935 to beat England. He also hit a century in New Zealand for good measure. 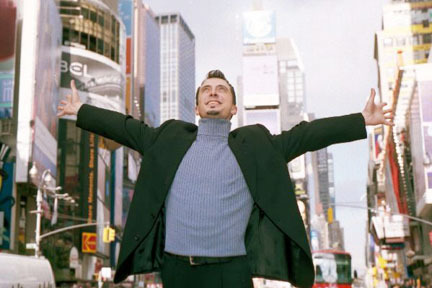 Pothas kept wicket in three one-day internationals in 2000. He then decamped to England and became a very successful captain of Hampshire. There has been talk of him playing for Greece but that remains up in the air. Before the doubters get stuck into Traicos’ Greek credentials let us set the record straight – from the horse’s mouth. “My father Tryphon Traicos was born in Lemnos in 1900, one of five brothers,” he says. Traicos’ mother was born in Egypt but her family originates from Kalymnos. So, Greek on both sides. Yiannis was the second son, born in Zagazig in 1947, a year after his brother Takis, but obviously his father’s move to Fort Victoria [now Masvingo] in what is now Zimbabwe produced a major shift in cultural influence. Out with the tavli and in with the cricket. “Our family life was Greek orientated with us speaking Greek at home particularly to my parents and my grandmother and enjoying all the lovely Greek meals spiced with garlic and gravy,” says Traicos who now lives in Perth, Australia. With it came another brother, George, and a change in name. “In Fort Victoria, I was known as Naso – derived from Athanasios – a name that led to a lot of teasing particularly because of Gamal Abdul Nasser, the Egyptian president,” he says. Traicos started playing cricket, inspired by his cousin Peter and coached by Neil Jardine – a former rugby international – and then at Natal University by the great South African all-rounder Trevor Goddard. He even had some guidance from Balaskas in 1966. His progress as an off-spinner was rapid. He was selected for the South African Universities tour of England in 1967 and then made his first-class debut for Rhodesia against Transvaal B in Salisbury the following year. “It was a very inauspicious debut – no wickets and I dropped a few catches,” he laughs. Within two years, though, he was rubbing shoulders with some of the game’s very greats. There are many people who still insist that the South Africa side which destroyed Australia in the 1969/1970 series was one of the finest of all-time. Barry Richards, Graeme Pollock, Eddie Barlow, Ali Bacher, Peter Pollock, Lee Irvine, Mike Procter…. “My selection for South Africa surprised everyone especially myself – I think that I was extremely fortunate to be picked,” he says before emphasising the impact of the series. “Playing test cricket for South Africa at the age of 22 was an unforgettable experience. I have many fond memories of that series and of sharing a dressing room with some of the great cricketers of that time. South Africa took the series 4-0. By his own admission, Traicos had an “average” series, taking just four wickets at a touch over 50. The boycott of South African cricket spelt the end of his international career – at least until1980 when Rhodesia became Zimbabwe. At that point, Zimbabwe were not considered strong enough to play Test cricket but they did compete in the one-day World Cups, sending out shockwaves of seismic proportions when they beat Australia in 1983. In their next game they had India on the ropes at 17-5 before Kapil Dev smashed a rapid 175 not out. Enough said. Zimbabwe’s fine record in one-day internationals finally saw them raised to Test status in 1992. At the age of 45 years and 304 days, Traicos returned to Test cricket as Zimbabwe hosted India at the Harare Sports Club. He produced his best return of 5-86, his victims including Sachin Tendulkar, Mohammed Azharuddin and that man Kapil Dev. 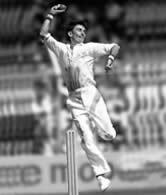 “Playing test cricket again was a wonderful experience and especially fulfilling because I had a dream test taking five wickets against a really good side. Traicos played another three Tests before his professional work as a company director became too great and he stepped down. 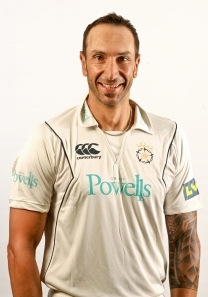 Now living in Australia, where he emigrated in 1997, he can look back on a highly successful cricket career, one of the finest to come out of Greece. On Monday, March 16, 2009 a memorial service took place at the Actors’ Equity Audition Center on West 46th Street in New York for the Greek actor George Costacos. A hundred or more friends, including the Emmy-award winning actress Elaine Stritch, packed into the centre to hear tributes for the actor who died the previous November at the age of 44 from a brain tumour. On the surface, there is not much of a link between Costacos, a bright light on Broadway, and the world of sport. And yet, dig a little deeper and the bonds become more tangible. He was himself a gymnast of note who wore the national colours of Greece at junior level. He also performed at the Opening Ceremony of the Athens Olympics in 2004 and he was closely associated with one of the world’s greatest footballers George Best. To cap it all, he now has an annual half-marathon named after him. George’s departure from the world of sport to the world of theatre happened when he went on a Fulbright Scholarship to the US to study physical education. “I was a gymnast and wanted to study phys ed but theatre just kept popping up,” he told me in an interview with Athens International Radio in late 2007. “One day I went with a friend to an audition when this lovely woman Susan Matthews, a choreographer, just walked out into the lobby, took one look at me and said: ‘you come and dance’. “I said; ‘hey, I am not a dancer’ but two minutes later she grabbed me by the shirt and pulled me in and I was dancing which was very easy for a gymnast, it was like a warm up. Gymnastics’ loss was certainly theatre’s gain as Costacos went from strength to strength – although it was only when the curtain went up on his first professional show that he realised that no one would know him as George Costacos but, rather, as George Best, something that led to his connection with the late Manchester United and Northern Ireland legend. “The name thing came about from my very first theatre job,” said Costacos. “I was very nervous and just kept walking about the theatre going: ‘I want to do my best, I want to do my best, I want to do my best’. “So my nickname became Georgie Best and the theatre assumed it was my real name and published it in the programme. “The next thing I know is that I open up a newspaper and Cindy Adams, the syndicated columnist in the New York Post has written that George Best is off to Europe to write. “This was me. Right below me was a piece on Harrison Ford and Candice Bergen, so it was a big deal My phone went crazy that day. The newly-christened George Best, however, had no idea he was sharing one of the most famous names on the planet until the dawn of the internet age. “I was one of the first actors to have a website,” he said. Then, during the course of his one-man show Greek Gifts, a more or less autobiographical tour of his own life mixed with song. it, he chose to come out about his real name and that left him with a website to spare. “At that point I thought now is the time to give this site to George but it was impossible to get hold of him. “I tried and tried and in the meantime there were lots of people coming to me to try and buy the site. But I wasn’t really interested in selling it as I thought it belonged to the other George Best. “He was very supportive and interested in our work and his generosity in giving us the georgebest.com domain name will never be forgotten,” said Barbara McNally, the sister of the footballer George Best, who runs the foundation. “I was very upset that I didn’t meet him (Best) as I researched him and realised what a genius he was,” said Costacos who admitted that he did not become a football supporter until 2004 when Greece won the European Championships. That was also the year of the Olympics, when George was invited to be the only member of US Actors Equity union to take part in the Opening Ceremony. His image was issued on the official commemorative materials and he was commended on the Congressional Statement in Washington DC. His final link with the sporting world came after his death. The mayor of his home island Aegina, Panayiotis Koukoulis, announced that they would stage stage an annual George Best Costacos Marathon in his honour. Since the first marathon in 2009, that has evolved into a half-marathon with this year’s event to be held on September 23. This doesn’t make up for George’s early death; nor does the charity, the George Best Costacos Cultural and Cancer Research Foundation. But together they go some way towards keeping his memory – and the memory of the various causes he was involved with – very much alive. 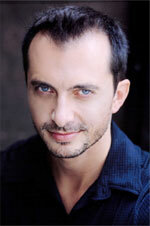 Georgos Constantinos Costakos – born Athens 30 December, 1974; died Hanover, Germany 17 November, 2008. A version of this article first appeared on Sport In Greece on March 20, 2009. A number of people have kindly inquired over the last couple of months about my efforts in the recent Paris Half Marathon. I realise I am a feeble trainee blogger as I should really have posted something as soon as my weary legs dragged me across the finish line to be greeted by the roar of a thousand appreciative supporters…oh no hold on, that was in the Marathoner’s Dream. Still, on the basis of better late than never, here is a wee glimpse into the run and about the George Best Foundation which stands to gain if any of you have a spare fiver that you can slip into my Just Giving fund. 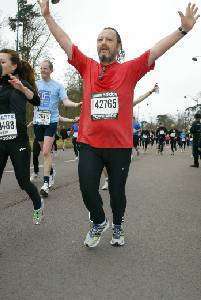 On February 7, I was invited to run the Paris Half Marathon. This meant just three weeks training which for a rather lumpy frame whose preference these days is very much for a cold beer on the sofa was, as you can imagine, something of a culture shock. But a crash training course which involved plenty of kilometres and a total ban on beer (white wine was permitted in small quantities) meant that I was vaguely prepared for the race on March 4. Thankfully, conditions were perfect: around 12 degrees, a gentle breeze and some cloud cover. And the run itself was quite fun….the first five kilometres around the Parc de Vincennes in the east of Paris, over the peripherique (fortunately the traffic was halted for the morning) and into Paris. Bastille, along the canal, turn right at the Seine…all the way down to the Hotel de Ville, a right and right again into Rue de Rivoli and pretty much tout droit through Bastille again and back to Vincennes – where my delightful family were creasing themselves in laughter at my showboat sprint at the end. The worst bit was when a Swedish girl put on a spurt of pace and ran straight through the remains of a squashed pigeon. I thought the poor girl was going to hyperventilate so loud and lengthily did she scream…. These old legs churned out the kilometres at around six minutes each, not as fast I once did but not bad for three weeks training. Prior to the race I think I said I was aiming for about two hours 10 – sadly, didn’t quite make that hitting the tape in 2:11:24….no world records but my best effort over the distance since doing 2:03:32 for the first half of the London Marathon in 2002…. I finished something like 20,082 – which again is no great shakes although as I was pretty much the final starter of 30,000 I was still quite chuffed. So, it was a terrific day out….BUT it hasn’t finished yet because I am still trying to raise a few quid for the George Best Foundation. We have passed the initial target of 500 quid thanks to some very generous donors but there is still time to build on that. The Foundation, incidentally, was set up after the death of the great Manchester United and Northern Ireland footballer and has the goal of helping youngsters off the streets and off alcohol through the use of sport. It also helps to fund research into liver disease. It is an excellent charity to honour a great player. If you can help then great – all you need to do is click on this link and get started. It is safe, secure and simple. If you are a UK tax payer then the charity can also claim back a certain amount of tax on your contribution to make it even bigger. George would have thanked you and so will those who stand to benefit from the work that the Foundation is doing. Many thanks.